Every business that is run for profit wants to and more importantly needs to recover the money invested in it. Only then does it make the business of any value in financial terms. Every investment you make in your business should aim to give you a positive Return on Investment (ROI). 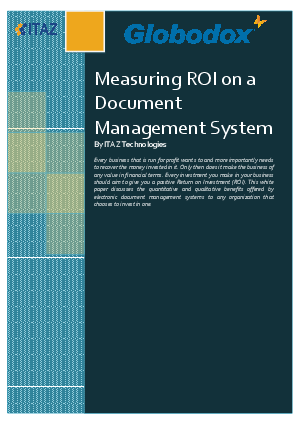 This white paper discusses the quantitative and qualitative benefits offered by electronic document management systems to any organization that chooses to invest in one.